Whether you’re a meat-smoking maestro or just a humble beginner, the Fireboard Wi-Fi Meat Thermometer is an excellent thermometer that makes a great addition to your kit. While it’s not as established in the thermometer game as some of its competitors (such as the Tappecue or Flame Boss), it’s already proving itself to be a worthy competitor of a thermometer and smart device, taking the guesswork out of poking the chicken or brisket and guessing how much longer it needs to cook. Just look at your phone and see your food’s exact temperature. Here's how the Fireboard arrives in a sleek box. This device is designed to last – the probes are surprisingly heavy duty. 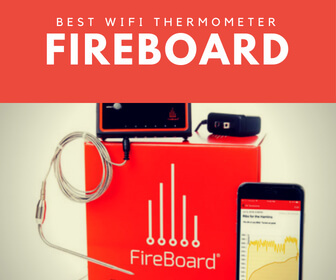 What Makes The Fireboard WiFi Thermometer Stand Out From Other WiFi Thermometers? Works with a variety of probes – Thermistors, RTD, etc. Can control drive fan with additional cable, giving you complete control over pit temperature via app or PID settings. "YOU HAD MY CURIOSITY BUT NOW… YOU HAVE MY ATTENTION"
The FireBoard is a Wi-Fi meat thermometer. 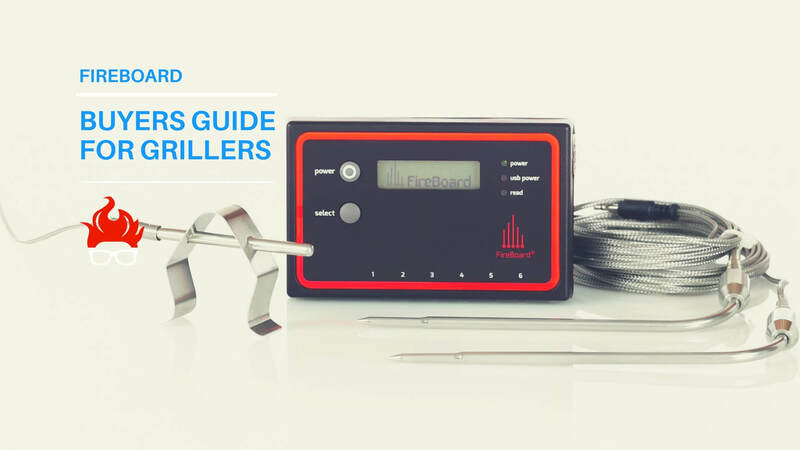 If you’re not entirely up to speed with that means jump over and review our meat thermometer guide. All in all, a good Wi-Fi reader lets you monitor the internal temperature of your meat remotely via your smartphone, essentially letting you keep a figurative eye on your meat as it grills - from virtually anywhere in the world. It works via WiFi or via Bluetooth. With Bluetooth, you can pair it directly with your phone up to 100 feet away. This is exceedingly easy and works great for grilling outdoors and in places where you don’t have a Wi-Fi connection nearby – say, the beach or the park. Using Wi-Fi, on the other hand, requires you to have a WiFi connection nearby, so you’ll need to be real close to your house. If your Wifi connection is weak or a bit spotty, you might need to pull the grill reall close to the house. 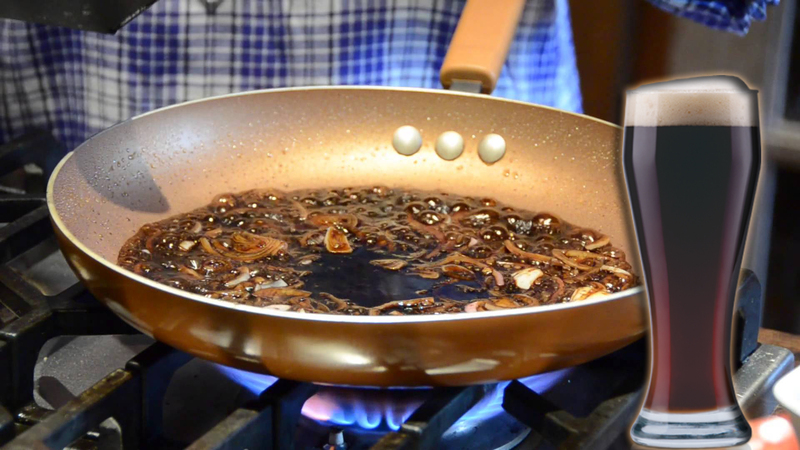 But WiFi connection also ensures that you can do it from virtually anywhere; if the Fireboard maintains a WiFi connection and your phone has reception, they’ll be connected through the cloud, and you’ll know exactly what temperature your meat is at. Convenient, right? You can head back into the house and watch the game for a bit with a beer without worrying about overdoing the meat, or even head out on errands during those all-day smoking sessions. You could literally be on the other side of the world, if you’d like to do some serious remote grilling – though we don’t really know exactly how effective you’ll be at getting the meat off the grill if you’re not close by. 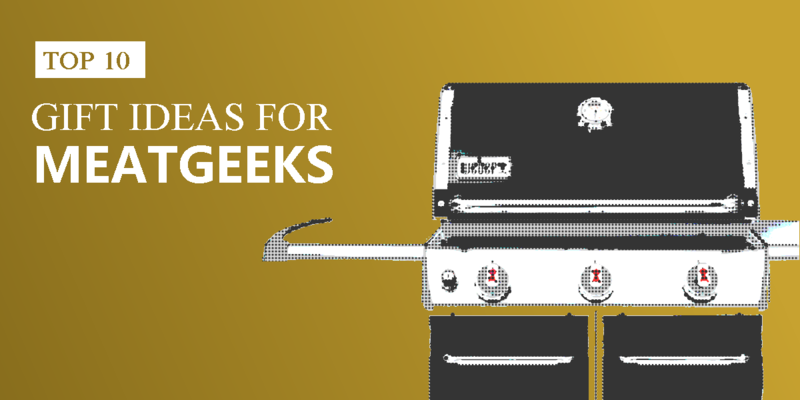 Having the ability to control pit or grill temperature from an app is a practical lifesaver. What good does it do to be able to see what temperature your meat is at, even remotely, but not be able to adjust the fire accordingly and keep it from burning (or cooking too slowly)? Fireboard knows this and built the functionality into the device and the app. You’ll need to pick up a 12v drive fan that snaps onto your grill/smoker, as well as Fireboard’s Drive Fan cable, which plugs into both the device and the fan, and you will then be able to control the fan via the Fireboard app. Neat. The Fireboard Drive, as they call it, is a 12v fan with a built-in shutter to block drafts when the fan has been stopped. It runs at variable speed and makes cooling the fire, or giving it some air to heat it up, easy and intuitive. It also works with a variety of PID settings and gives you automatic and custom control over your temperatures and feedback. The Drive plugs in via a 2.5mm barrel plug and is easy to setup and use. The firmware will even update automatically Fireboard is connected to WiFi.It can even run off built-in battery onboard the Fireboard – though that will drain it much faster. To prevent this, you can use the included 12v power adapter, which will charge the Fireboard at the same time. Purchasing an additional fan, as well as the Fireboard unit, adds a fair amount to the total price tag. However, it’s really a no-brainer, and will turn the Fireboard into an all-in-one meat thermometer and pit controller – something not all Wifi thermometers can claim to be. 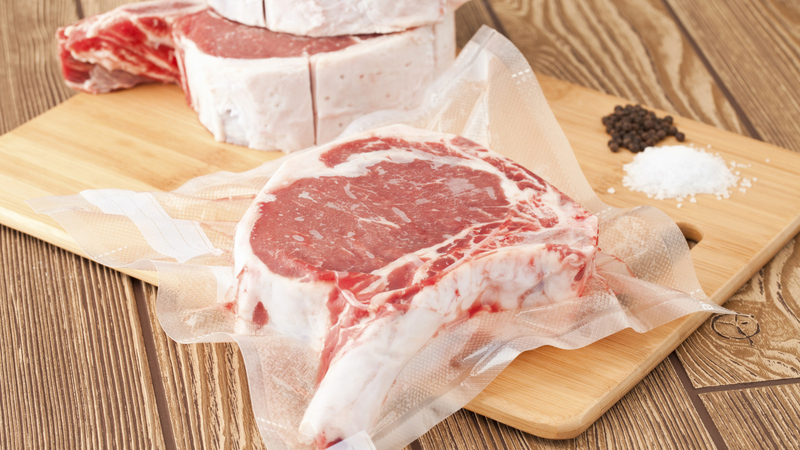 Threshold temperature alerts let you know when your meat has reached the appropriate temperature or alert you when it has reached a certain temperature for too long. You can customize the name for each probe, customize each probe’s temperature, set minimums and maximum temps, and customize alerts for when they off and when they don’t. Of course, being a thermometer alone isn’t nearly enough in the digital age. The Fireboard also logs your cooking times and temperatures, creating graphs and charts that let you see track your grill sessions and learn from them for the future. Pull them up in the app on your phone, or even log onto your account on the Fireboard website to view them larger. 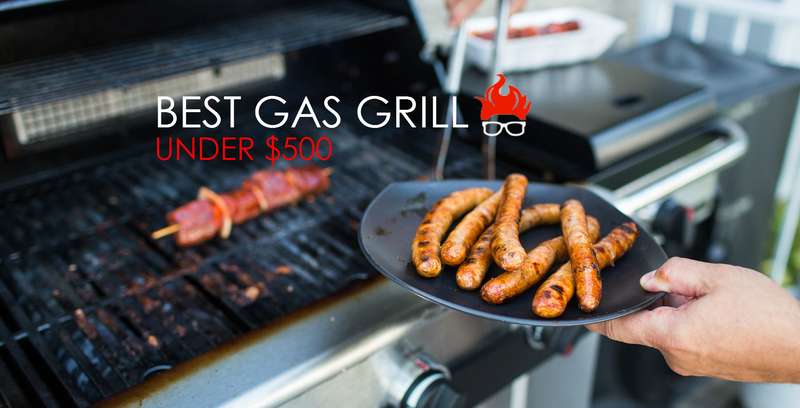 Save the charts and create a log for future reference, date ‘em, download ‘em, and become a bona-fide Grilling Analyst. Fireboard even has an Alexa Smart app, so you can check your temperature just by asking – doesn’t get easier than that. To setup, just download the app, turn on your phone’s Bluetooth, setup a free account, and pair. 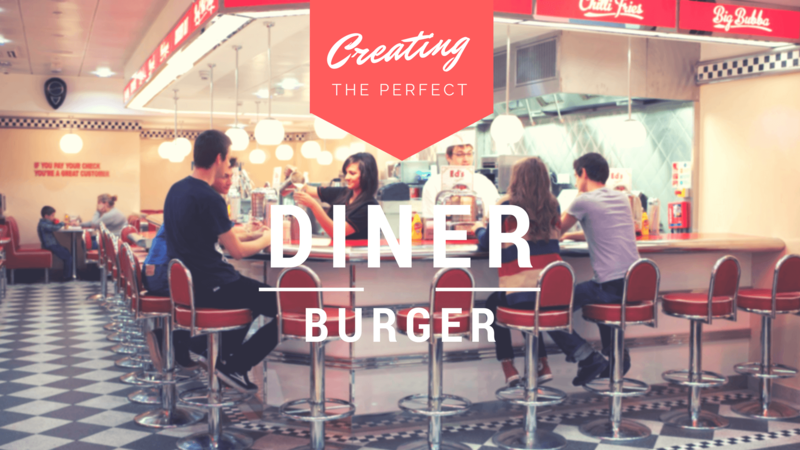 The process is simple and painless and takes all of a minute. The Fireboard is powered by an internal Li-On battery, which is rated to last up to 24 hours on a single charge. We haven’t tested that out quite yet, but other users have found it close. It’s also super simple to recharge, using a Micro USB cable that plugs into your computer’s USB port, or into any iPhone-style USB wall charger or portable battery pack. If you’ve used other Wi-Fi thermometers, such as the Flame Boss, you’ll likely be pleasantly surprised at how small the thermometer device itself is. At about 4 inches long, it fits neatly into the palm of your hand, while weighing a mere 4.5 ounces. In other words, it’s barely noticeable in of itself, but is still surprisingly well-built. An LCD Screen on the front gives you the exact temperature readings on your probes, cycling through them one by one, as well as battery life and connections (Bluetooth and WiFi). As mentioned, each probe cable is 6 feet long, which is long enough for use with just about any large grill, smoker or hefty piece of meat you’ll be dealing with. They’re made of braided stainless-steel cord, which cannot be easily snapped and doesn’t fray. 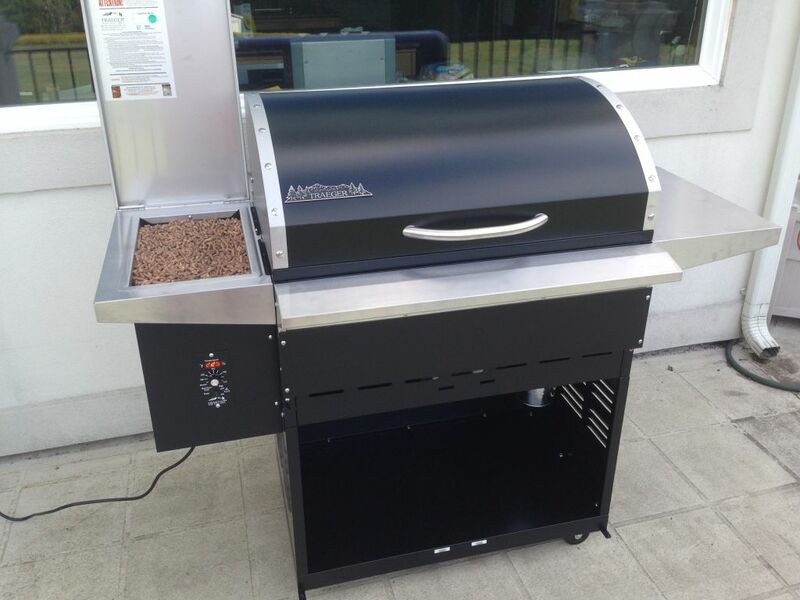 There is, however, no mention of waterproof or weather-resistance on the Fireboard; it may stand up to occasional splashes around the kitchen and the grill, but you probably won’t want to leave it out in storms or pouring rain. Stick it in in a plastic bag to keep it safe if rain is in the cards. Another thing missing that we would love to see would be a magnet for mounting onto the side of the grill, or at least a hook. As it stands, the only way to use it is to lay it horizontally on a flat surface, where it can easily be moved or kicked around. The Fireboard has a total of 6 probe ports. The Basic Kit includes 3 probes – two meat probes and one ambient grill probe – and the Extreme kit includes 6 meat probes and 2 ambient. Grill clips are included for mounting the ambient probes inside the grill for measuring its internal temperature. Each probe is an RTD PT-100, which are well-regarded for their accuracy; Fireboard claims they are accurate up +/- .7 degrees, and we have no reason to doubt that assessment. They’re also rated to withstand temperatures up to 716F, which should be more than enough for even the hottest of smoking. One additional cooking situation you might find this useful for might actually be cooking pizza – where temperatures can exceed 600F. If you’d like to use a different type of probe, the Fireboard will likely work with them, too. It’s compatible with 10k and 100k thermistors, among many others, allowing you to work in a variety of smoking temperatures and ranges. Thermistors generally cover a wider temperature range, if you like to smoke at extremely high temperatures or cold smoke, while RTD probes are generally considered to be more accurate and precise – within their target temperature range. For the temperatures at which you are likely to be using the Fireboard, this distinction may not matter much. But having the option to use different probes as you see fit is always welcome. Overall, we’re impressed with the Fireboard. While it doesn’t have some of the fancy features that some other Wi-Fi thermometers have and isn’t a digital controller for remotely adjusting pit temperature, it’s a great device that gets the job done without costing as much as some of the other devices. If you’ve ever ruined a perfectly good steak, dried out your brisket or even had trouble grilling a perfect piece of chicken (who doesn’t have trouble with chicken? ), then you’ll find it a welcome tool. 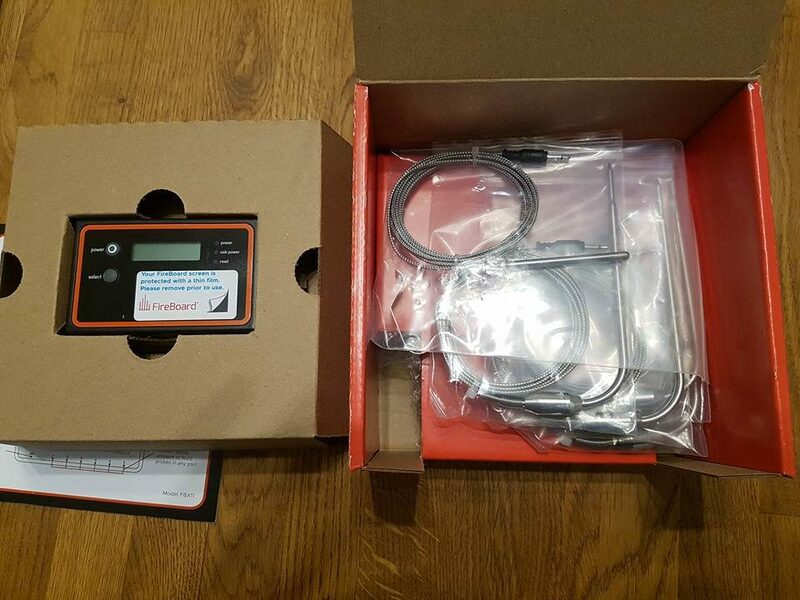 It’s simple and easy to setup and use, lets you monitor your meat remotely, and has all the features you could ask for in a smart WiFi thermometer. Perhaps the largest draw is the six probes, which is more than you’ll find on most other meat thermometers and allows you to cook quite a bit of meat at once or keep a close eye on the pit temperature with ambient probes. The option of purchasing a cable to control a drive fan and pit temperature is always a welcome addition, as is the ability to work with different kinds of probes (RTD, Thermistors, etc). Water-resistance would be welcome in future iterations, but overall, what’s not to like? 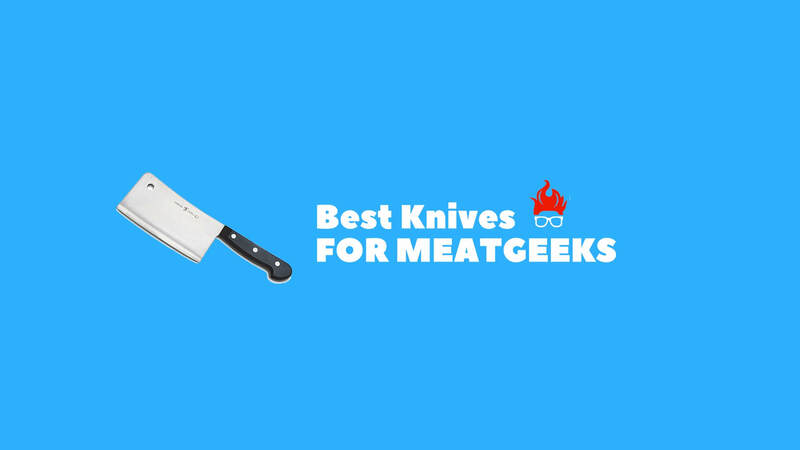 You can monitor your meat with the cloud, or with Bluetooth in short range, and the Fireboard is an excellent smart thermometer worth checking out. For anyone who has ever burned a steak, over smoked a beautiful piece of prime rib, or undercooked pork, this product makes a novice griller into a master grills-man/grills-woman by displaying internal temperature right on your smart phone. The wireless Fireboard is going to be on everyone’s must have list, or really need list. 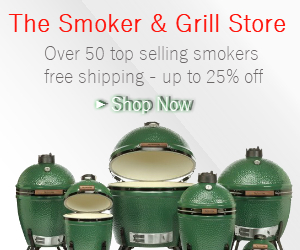 It’s a product for the recreational griller to expert grillers. 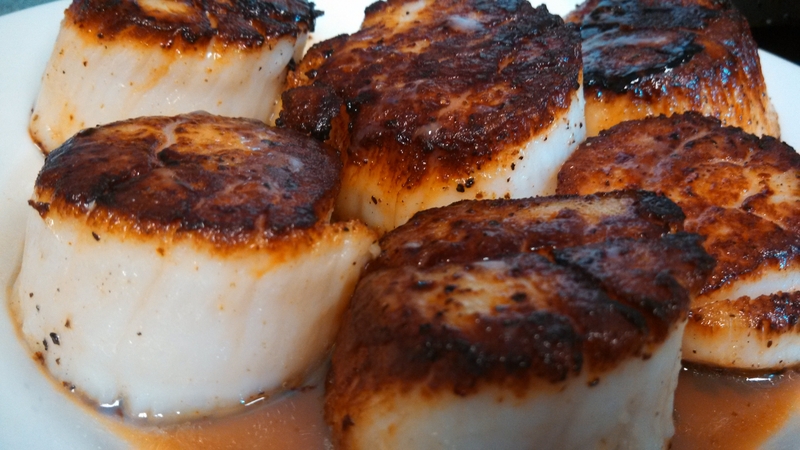 Additional accessories are in development that will improve the product for future grillers. I’m giving this wireless Fireboard thermometer 4.5 stars for user friendliness, and for making me look like Anthony Bourdain on the grill (and even in the kitchen). Enough of the good stuff! Let’s get objective here and see a few shortcomings and downfalls of the Fireboard thermometer (if there is any at all). Thankfully the company behind this product is as SEAR-ious as a seared steak about grilling and smoking all of your BBQ favorites. As a result, it leaves you very little to worry your little head about. Unfortunately, the device is not water proof. You’ll need to take precautions to be sure it doesn’t get wet. One trick would be to wrap in plastic, however, there is rumored to be a waterproof case in the works. Also, the Fireboard needs to be carefully placed on a horizontal surface. A simple magnetic strip at the back of the case would have made it mountable on a vertical surface or on the front of most grills. Lastly, the probes are water-resistant (not the same as waterproof) so you’ll need to be careful. It’s worth mentioning that aside from not being waterproof, the probes are built extremely sturdy, giving this product a very well done. Additionally, it has the capability to connect to most of your computer/smartphone devices via Bluetooth even at a distance of 300 feet. •	Nifty LCD Display that shows live probe temperature recordings, remaining battery life, and connectivity status. This Smart and versatile product is handy to have and easy to use and as handy to have as your smart phone. Speaking of Smartphone it includes an easy to install app and is very user-friendly if you were born on the grill, or a novice of the open flame.